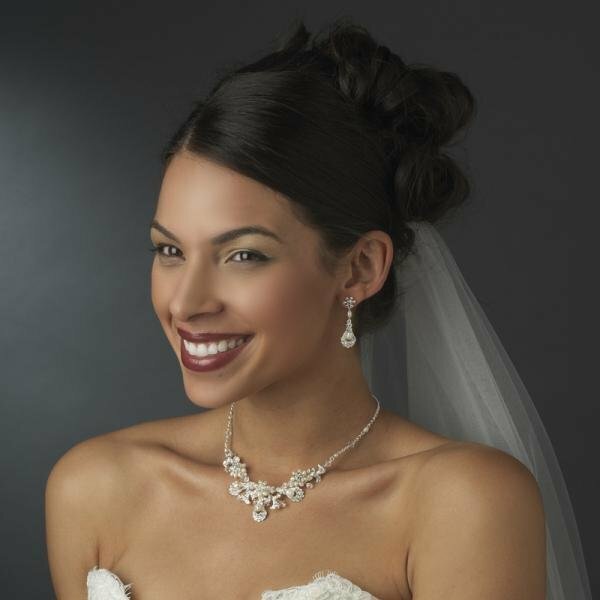 A charming collection of white freshwater pearls, dazzling clear rhinestones and fabulous clear Austrian crystal beads all set in stunning silver plating in a vintage inspired floral design that will make you feel absolutely beautiful! 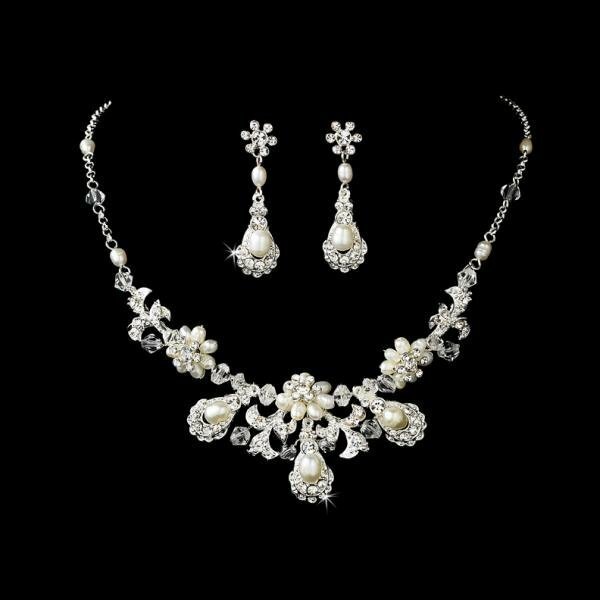 This gorgeous jewellery set will look wonderful on any classic or vintage inspired bride with a white or ivory wedding dress. This is a really gorgeous jewellery set, matched lovely with my wedding gown.